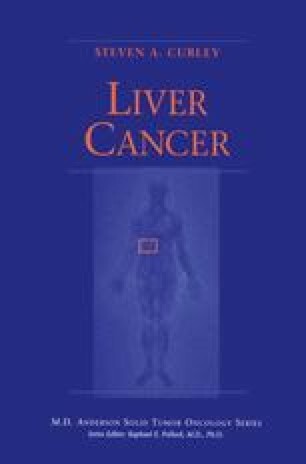 Surgical techniques with curative intent are becoming more common-place for both primary and metastatic tumors of the liver. The development of aggressive surgical techniques has allowed the surgeon to view a patient with a primary hepatic tumor or certain types of metastatic disease as a possible candidate for curative resection rather than as a patient with end stage disease. It is therefore important to detect and characterize hepatic lesions to determine if a patient is a surgical candidate and, if so, to plan operative strategies. It is the goal of hepatic imaging to identify and stage lesions for hepatic surgeons. The issues imaging must address include (1) whether hepatic lesions are present and, if so, how many; (2) the character of any such lesions; and (3) whether malignant tumors are resectable.1,2 These queries are now being answered more easily with advances in imaging.